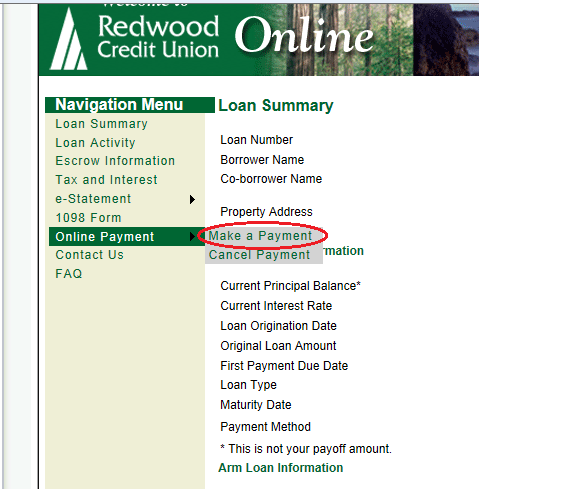 How to make a first mortgage payment from an external financial institution in Online Banking. In order to be able to make a payment from another institution to your First Mortgage, we must open the First Mortgage Access within your Online Banking. Select the more details link to get started. Once more details has been selected, select MAKE A PAYMENT from the Online Payment option. If the Mortgage page does not automatically load, it may be due to cookie settings on your browser. Please click HERE to review our information on accepting cookies for your web browser. Select the Routing Number and Account Number for the other institution, and then provide the name on that account. 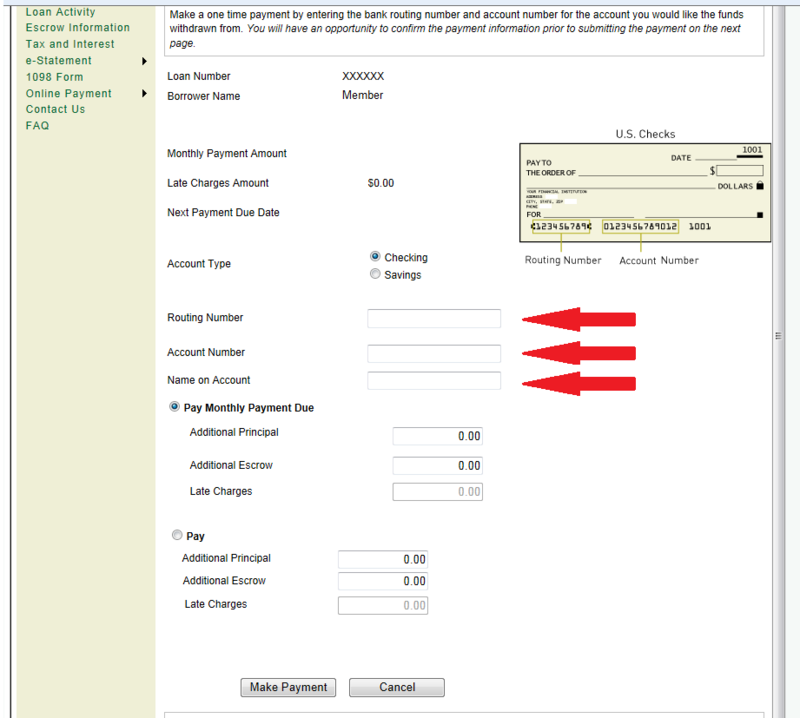 Enter the desired payment amount, or choose Principal Only for payments that do not include interest. Once all the fields have been populated with the correct information, select the Make Payment link on the bottom to complete the payment. When will my Visa or first mortgage payment be posted after the payment has been made online or at a branch? ¿Cuándo se publicará el pago de mi Visa o el primer pago de la hipoteca después de haberlo realizado en línea o en una sucursal?